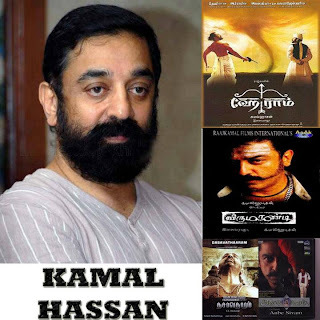 Kamal Hassan-a versatile actor, superb script writer, brilliant director, great lyricist, passionate producer, superb singer, what else this man should do in cinema?? Kamal Hassan is one of the person who is responsible for the drastic and refreshing change that is happening now in Tamil cinema. His experiments like Pesum padam, Heyram, Virumandi, Anbe Sivam, Kurudhipunal may be flops. But his experimenting attitude never fails. Sivaji: Today I sowed the seeds, tomorrow you will eat after that your son will eat but the seed was sowed by me. This dialogue will perfectly match for Kamal Hassan. The seed was first sowed by Kamal now the entire film industry is harvesting via his experiments. Even now I will say Kamal is not fit for this generation. Due to his immense talent he is the "MAN FOR NEXT GENERATION"